Last week it was announced through the Baltimore Sun that the Food Network’s personality Guy Fieri was opening a 350-seat restaurant in Baltimore’s Horseshoe Casino. Fieri, a restaurateur, cookbook author, television host has a personality so big it is hard to understand how he contains it in his mere mortal body. Fieri knows how to draw folks in but seems to have alienated a number of those in the culinary know. Fieri (originally Ferry) has never claimed to be a chef though I did hear the anchor last night on WJZ-TV call him Chef Guy Fieri- whoops! Like Rachel Ray, neither refer to themselves as chefs. 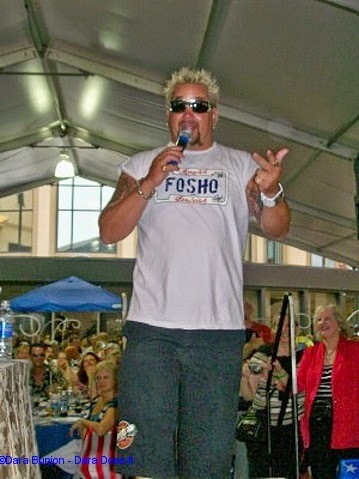 Fieri is a restaurateur who likes to cook.